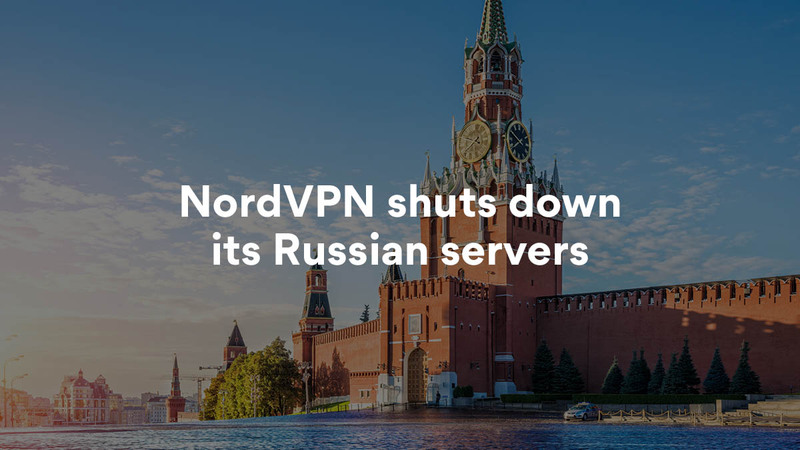 On March 27th, NordVPN received a letter from Roskomnadzor, the Russian national media regulator, demanding that NordVPN makes changes to its service that would directly affect its users’ security, privacy and online freedom. This post will explain what they asked for, why NordVPN is unable to comply, and what that will mean for our users. Roskomnadzor (their proper name is a mouthful – The Federal Service for Supervision of Communications, Information Technology and Mass Media) has given the world’s leading VPN providers 30 days to provide the Russian government with access to any servers located in Russia. Their immediate goal is to prevent users from viewing content that the Russian government has blacklisted. However, compliance would also mean complying with other requirements detailed in a broader internet control law. The Russian government is working to regulate the flow of information within its borders. Unfortunately, NordVPN is unable to comply with this request, as we would have to violate the service agreement we’ve made with our customers. We provide online security. NordVPN provides an encrypted tunnel that makes it nearly impossible to track what you do online or steal your data. To comply with Roskomnadzor’s request, we would need to provide outside access to our servers. We wouldn’t control the key to this door once we create it, meaning that we wouldn’t be able to answer for who opens it or what they do with it. Creating this type of vulnerability is unacceptable for us. We provide online privacy. We believe that everyone has the right to keep their lives private online. A content filter would require us and/or the Russian government to monitor what NordVPN users do online. Not only would this violate our no-logs policy, it would undermine our fundamental dedication to online privacy. We provide online freedom. NordVPN makes it easier to access online content around the world. This is an especially important feature in states that actively restrict their citizens’ access to information. Implementing a content filter would hinder our users’ online freedom, preventing them from viewing anything the Russian government decides to blacklist. It would be impossible for us to comply with Roskomnadzor’s request and to continue operating our product, which is why we will be unable to comply. NordVPN will shut down all of its Russian servers. Connecting to NordVPN servers in Russia may no longer be safe. To prevent any service disruptions or malfunctions, we will be shredding all of our Russian servers and removing them from our service. Connecting to them will be impossible. The shredding process will be completed on Monday, April 1st, 12:00 GMT, 2019. Unfortunately, this is not an April Fool’s joke. Some users may have to change their configurations to continue using NordVPN. Most people use NordVPN through their apps. The option to connect to Russia through the app has already been removed. If you have a device configured to connect to NordVPN’s Russian servers without an app, you will have to change your configurations for that device to continue to be secured. After we shred our servers on Monday, April 1st, 2019, any such devices’ configurations will be rendered non-functional. We understand that this may inconvenience some users, but these changes are necessary to keep our service secure.